Join the Friends of the Library for a bus excursion from Cleveland to the National First Ladies' Library, located in Canton, Ohio on Friday, March 13, 2015, during CSU's spring break. 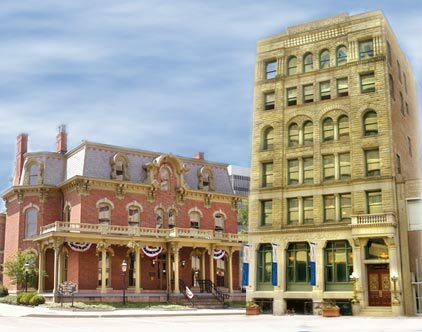 Tour the Museum and Research Library and the Saxton McKinley House, view the exhibit titled, "The Forgotten First Ladies;" shop in the Victorian Gift Shop, followed by lunch (and a discussion of first ladies) at Bender's Tavern. The bus will return to the same location before 5:00 p.m.
Peruse the First Ladies Bibliography or read about Ohio's First Ladies compiled by the National First Ladies' Library. Posted 2015-01-27 10:37:48 by Barbara_Loomis.